I recently dusted off my Playstation 3 and completed my first play-through of Fallout 3 New Vegas. If you’re not familiar with the series, Fallout takes place in an irradiated American future based on speculative 1950’s technology. (To read more about Fallout New Vegas‘s interesting development history, check out this Kotaku story.) After a pretty amazing time with Fallout New Vegas (despite the glitches), I wanted to share possible applications for tabletop game design based on my experience. Recently, there’s been big promise from procedural generation in video games. Procedural generation is allowing computer generation to create most, if not all of a world or level in a game from smaller component pieces. The idea is that the world will be vastly different each time you play the game, offering nearly unlimited replay-ability. I think the gameplay in New Vegas demonstrates why procedural generation is a long way from achieving the result of human storytelling. There is a ton of exploration in New Vegas, much of which is opening up filing cabinets. However, what made exploration so enjoyable was the knowledge that each location was about to tell me a story if I looked hard enough. After my thirty or so hours with the game, I think back to several discrete discoveries that told multitudes about the world. One example was exploring an underground Vault where raiders called “The Fiends” had a “medical facility” on a second floor landing. In the medical area, comically gruesome phrases were splattered across the wall in blood. These sentences suddenly evoked the bizarre surgeries the bandits had performed, and all the unlucky patients. In just a few thoughtful touches, the developers shared a wealth of characterization. Add more (and better) flavor text to cards. Remember that all flavor text should be adding information or creating character in your world. Use setting and character artwork to tell stories. As a designer or publisher, don’t leave everything up to your artist. Even something as simple as giving characters battered armor covered in mud instead of pristine shining mail says a lot about your setting. Use cohesive story lines instead of isolated events. Many games use a random event deck for moving the story forward. Instead, try creating five different multi-event story paths with individual events that thematically link together. In New Vegas there are several non-mutually exclusive factions you can work with, such as a group of escaped convicts, a hidden brotherhood of technophiles, and several small towns trying to make ends meat. New Vegas has a reputation system that characterizes faction approval on a sliding scale. Actions such as fighting faction members, certain choices in quests, and working with an opposing side can all put you in disrepute with that faction. I think factions are great for a couple of reasons. First, allowing a player to support a group or organization allows players to role play their characters internal values in a concrete way. By giving people opposing viewpoints to choose between, a designer can question players about the values of their characters. Is your character really a defender of the weak when you could just join the Imperial Guard and make a handsome profit? In addition, factions are a realistic and interesting way to add conflict in your setting. Many RPGs exist in a reality where players can be loved by everyone, provided they complete the necessary side-quest. Having opposing factions reflects a nuanced reality, where helping one group might be seen as a slight to another. Adding allegiances to certain paths of gameplay, which then prohibit the selection of other paths. Greater reputation with a single faction that more greatly benefits players. Force players to decide between two factions, and then change the board state based on that faction’s philosophy. The biggest stumbling block of New Vegas is a faction called Caesar’s Legion. The bad karma, moral antagonist of New Vegas, the Legion is a rigid warlike band of tribes known for its order and brutality. Now I think Obsidian was pretty close to something interesting with Caesar’s Legion, but the delivery is extremely alienating due to how dark the writing gets. On the positive side, there is sort of a hilarious humor to the fact that the Legion is modeled after the Roman empire, and is an army of men wearing red football padding, pronouncing the name Caesar incorrectly as Ki-sar. It sadly also seems like the type of major power to rise from the ashes of the nuclear apocalypse. Just a heads up, slavery, violence towards women, torture, and general unsettling ideas to follow, so skip ahead two paragraphs if you’d rather not read about that stuff. The Legion is where Obsidian’s writers get really dark. While Fallout is certainly not known to pull many punches (heck, you can blow up an entire town in the previous entry), the darkness was usually matched with some level of humor or absurdity. Caesar’s Legion is almost pure darkness. Captured prisoners of war (and all woman) are forced into slavery under the Legion. The player’s first interaction with the Legion is in Nipton, where the entire town has been crucified and murdered. Let’s go back to my previous point about factions. Caesar’s Legion is one of the big three factions you can choose to radically affect the ending of the game. I went through a few of the Legion’s quests because I was interested in seeing Caesar (and potentially ruining his plans from within), but the more I worked with the Legion, the less I wanted to. Meeting Caesar offered no twist or nuance either. I get that both the real world and the world of Fallout is dark, but don’t expect your players to be comfortable with something so evil. Even a good friend of mine, who notoriously only plays as evil characters in his games, said “heck no” when I asked him if he joined Caesar’s Legion. So the moral is, make your villains more human, especially if you want players to join them. Is everyone part of the organization for the same reason? Maybe there are people just looking for stable work? Has your villain experienced any trauma that has shaped their worldview? Who (in-world) likes your villain, and why do they like them? What do they beneficially offer their friends/followers? P.S. Unless you’re really interested in exploring the pain, ramifications, and complexities of evil actions in a detailed informed way, I would avoid using gratuitous or sexual violence, slavery, and other really dark subject matter. If you do choose to pursue these topics in your art, do so with a willingness to listen to others, and if possible, gather feedback from sensitivity readers. 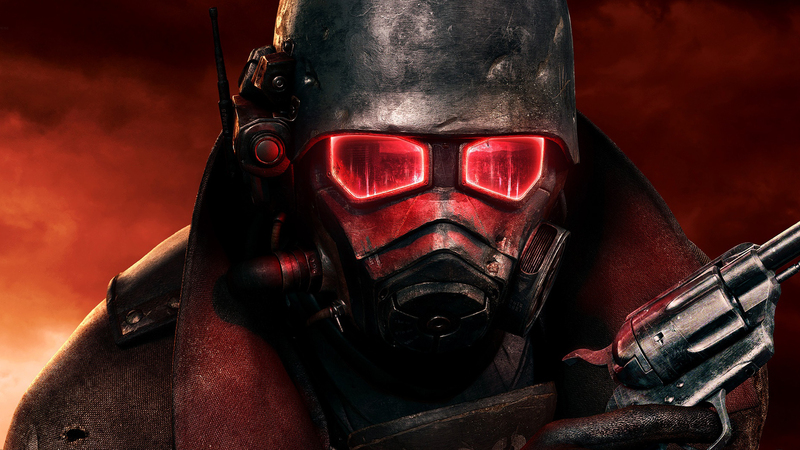 Fallout New Vegas is virtually everything I want from an RPG ending, starting from the climatic last mission. From nearly the beginning, players are informed of an inevitable battle between the New California Republic and Caesar’s Legion at Hoover Dam. Throughout the game, players are forced to contend with the various parties of the Mohave to either gain their support or destroy their resistance. More importantly, the final battle interweaves many of the decisions made throughout the game, by allowing new troops to enter the battle and opening up different endings. After the battle, in a lengthy cut scene, every faction and companion is given their own epilogue (if the player met them). All told, it’s a way to show players their decisions mattered. Write a few paragraphs describing the ending based on which faction/species/player won. How cool would it be if each species in Twilight Imperium had their own ending? Set point limits for different paragraph-based endings in a Euro-style game. If a player reaches over a hundred points, read a special ending. Put new elements in the game if certain tasks/achievements have been accomplished. For example, if two battles have been fought in a single tile, flip the tile from greenery to a desolated landscape. The new tile could have special gameplay effects. Have you played New Vegas? Do you have any ideas that could be brought to a tabletop experience? Let me know in the comments, and please subscribe to my quarterly newsletter if you would like to get updates on recent articles, and my current projects. Nice article. Just a little detail – original pronunciation of Caesar was in Latin something like “Kai-sahr” – so in New Vegas it is actually correct. I had no idea! I will make the correction, thanks!